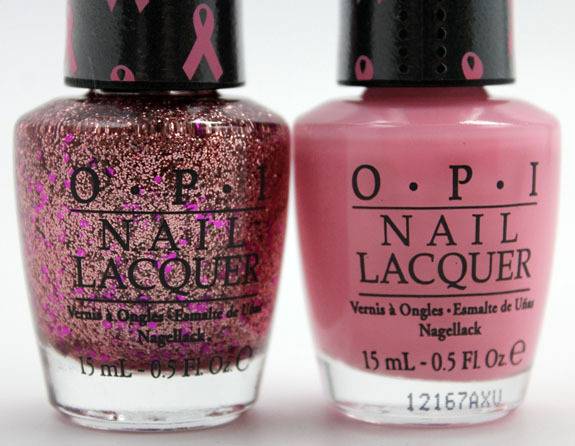 For the sixth year in a row, OPI has released a limited edition collection in honor of Breast Cancer Awareness Month, which is October. The Pink Of Hearts 2012 collection features two pink nail lacquers and they will be donating $25,000 to the Susan G. Komen for the Cure Foundation. They will also be donating $5,000 to Rethink Breast Cancer in Canada. I Think in Pink is a pale, kind of milky looking pink creme. It applies pretty sheer and I used three coats to get it more opaque. It’s a little bit streaky still, but a flattering shade. You Glitter Be Good to Me has pink micro-glitter and larger fuchsia hexagonal glitter chunks. It’s pretty jam packed with the micro-glitter, so after three coats you get decent coverage. The larger glitter chunks tend to want to drag with the brush to the tips of your nails, so work slowly and let each coat dry a minute in-between. And of course they work well together when layered! Availability: Ulta, Trade Secret, Pure Beauty, etc. Pricing: $14.95 for the set and sold through October. Note: OPI is cruelty free. Vampy Varnish 10th Anniversary Giveaway with Zoya! That pink glitter polish looks pretty interesting, although I’d love to try it over a non-pink polish. Thanks for swatching! I can’t believe I’m saying this but I hate the glitter but really like the way the pink polish looks on you! I like the combination but not alone. Very pretty. They look great on you. And of course, love that it’s for a good cause. I like them each alone, especially the glitter, but not quite as much together. They both look really good on you! 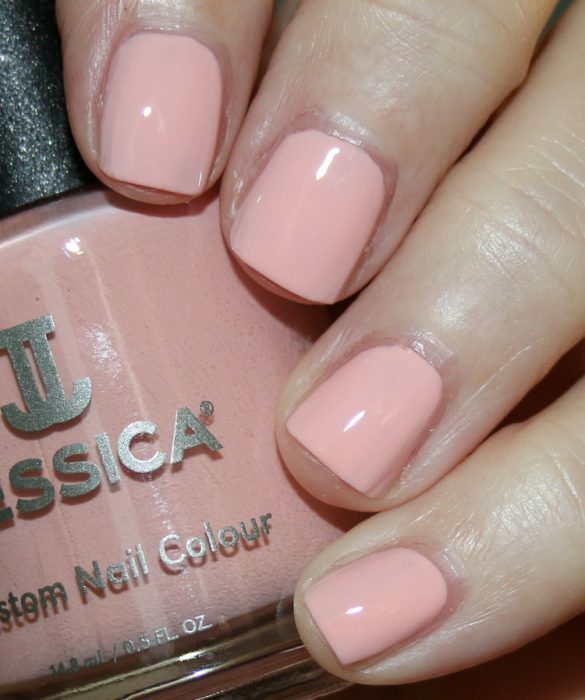 lovenailpolish´s last post…My Big Debut – Beauty Blogazons Weekly Roundup!!!!! I ordered it last weekend! Can’t wait for them to get here! I Think In Pink looks incredible on you!